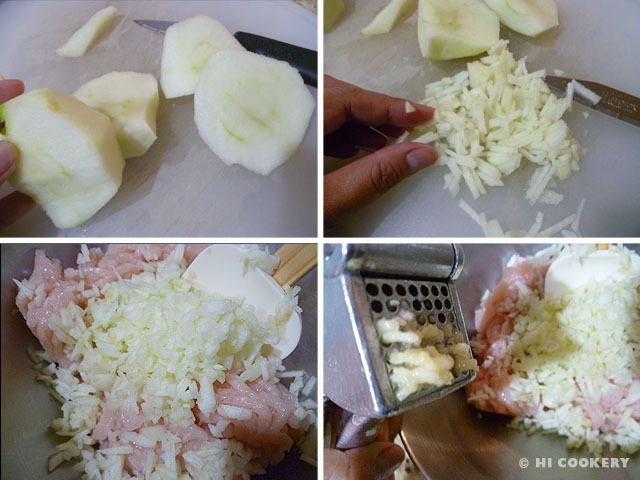 Have a hearty breakfast (or snack) before going to school (or work) by cooking up some apple chicken patties. These tasty treats can be made the night before then heated up in the microwave for a quick bite before heading out for another busy day. 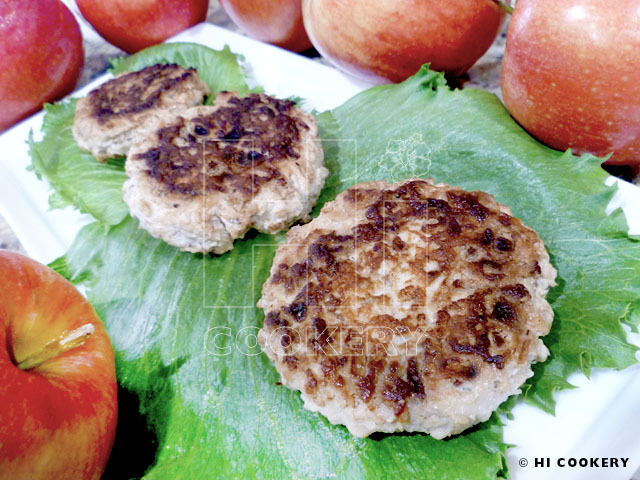 The combination of sweet apples and ground chicken are complemented with the herbs and spices for a doubly delicious dish for National Chicken and National Apple months. Peel, core and finely dice the apple. 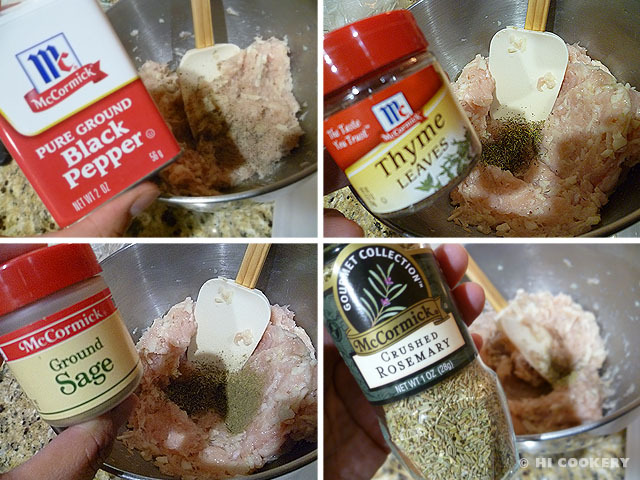 Mix in a large bowl with the ground chicken. Mince the garlic and add to the ground chicken mixture. Sprinkle salt and pepper to taste. Add the dried herbs (thyme, sage, rosemary and marjoram) and mix well. Shape into 2-inch patties. Place on waxed or parchment paper on a flat tray. Cover and refrigerate for an hour to firm up the patty mixture. Heat a little oil in a non-stick skillet. Remove the patties from the refrigerator and fry on one side until brown. Add a little more oil, if necessary, flip and brown the other side, making sure the patties are cooked through. Transfer the patties on paper towels to absorb excess grease. Yield: Approximately one dozen. Lean ground meat makes the patties a little dry. 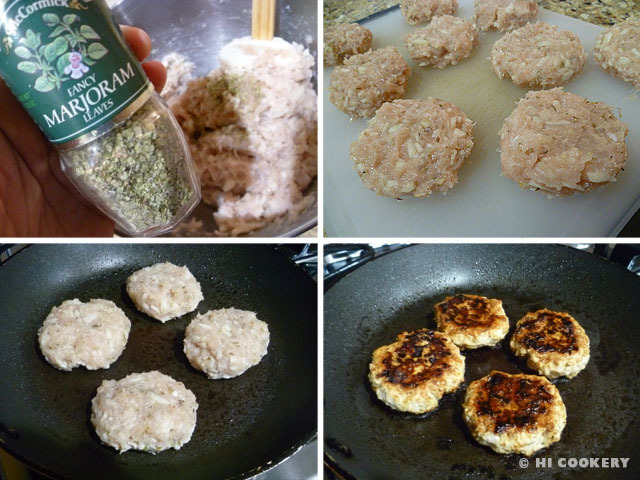 Mixing ground chicken with a little ground pork may make them more moist. Search our blog for more recipes containing apples and chicken in observance of National Apple and Chicken months.